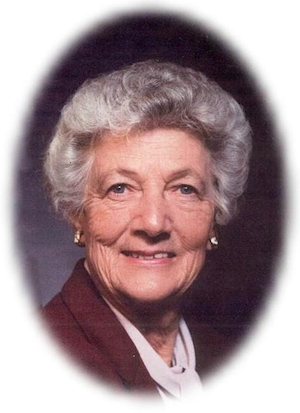 Obituary – McFarland, Norma Lee (Crockett) « Perry High School Alumni Association, Inc.
Norma Lee McFarland, ‘Minnie’, 81, of Tempe, Arizona passed away May 12, 2004 in Tempe, AZ where she was surrounded by loved ones. She was preceded in death by her husband, Wallace, just 21 months ago; they shared 62 years of devoted marriage, and by her son James, on March 8, 2004. Norma was born and raised in Perry, Oklahoma where she met her longtime love Wallace, she was a sweet, caring and loving wife, mother, grandmother, great grandmother and friend. She enjoyed camping, traveling, OU football, playing bridge, roosters, but her one true love was to care for her family. She was a retired bookkeeper for Coverly Drugs in Hutchinson, Kansas. She is survived by sister, Avis Thomas of CA, daughter in law, Diana of Tempe, AZ, 7 grandchildren, Cynthia McFarland, Debra Adkins (Paul), Shelly Daniels (Bill), Tami Ramirez (Shawn), Kathy Keith, Kayleen Coker (Steve), Kevin Keith and 12½ great grandchildren. She will be missed dearly by all those that have been fortunate enough over the years to be touched by her vitality and zest for life. A visitation will be held Tuesday, May 18, 2004 from 6 to 9 p.m. at Brown Dugger Funeral Home, 1010 N. 7th St. Perry, OK. Graveside services will be Wednesday, May 19 at 2:00 p.m. at Grace Hill Cemetery, Perry, OK.